I was very excited to learn that another novel from Jenny Colgan was on its way and could hardly wait to get my hands on it. In the end, I listened to it as an audio book and it kept me amused and chuckling on a return journey from Yorkshire to Berkshire. I loved every bit of it. It is a book about books, so it can hardly fail to appeal to a book lover. Jenny even begins with a list of places that she reads books, which I'm sure will strike a chord with others as well as myself. The main character in the tale is Nina, a dedicated librarian with a passion for books and an apparent insatiable appetite for them that has led her housemate to despair that they are taking over, and may even damage, the house. Unfortunately, economic cuts have meant that her library is to close down and she is left wondering what to do with her life. A course arranged to help those in her position leaves her believing that she might be able to fulfil her ambition of one day opening a bookshop, and so she does. But it is not just any ordinary bookshop.... Her dream takes her from her home in Birmingham to settle in the Scottish highlands. Along the way, Nina meets up with a number of book enthusiasts, some of them apparently unlikely readers. The main male characters include Lennox, a grumpy and moody Scottish farmer, and a Latvian train engineer by the name of Marek. Of course, as well as selling books, Nina is looking for, and finds, romance on her travels. As with all the Jenny Colgan stories I have read, there is a great deal of humour in this one. It had me laughing out loud on quite a few few occasions. However, the plot was still strong and not at all predictable. Jenny's writing effectively brought alive the characters and locations in the tale. Much of the action took place in the north of Scotland, and I could easily envisage the villages and landscape in the area where Nina was living. 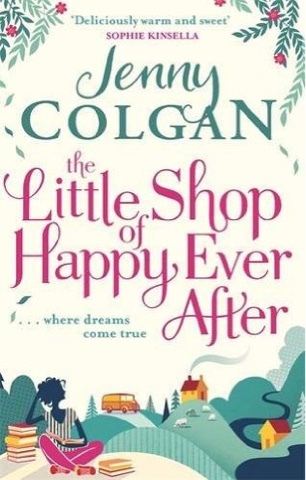 I'm sure that fans of Jenny Colgan's books will pick this one up, but if you haven't read any of her novels before, this one would be a great introduction.